In the last post I promised to post some game(s) from the tournament. Since then I had some thoughts about my last games, so I decided to combine it in one post. In the last 2 tournaments I got good results, top “B” performance rating and good placement. So I am satisfied, but at the same time I see the following: in 5 games out of 8 I didn’t see the “killer” move 2 times and 4 times – saw it, but didn’t play. Playing these moves would get me “A” performance rating – this is what I want, so maybe this is one of the things that separate me from getting to “A”. By “saw it, didn’t play it” I mean that I saw the right move, made some calculations and didn’t like the result. I’ll ask the critics to excuse me, but I went again to what Dan Heisman wrote. I am interested here in dynamic evaluation – this is what went wrong in the examples above. I commented already the games from the first tournament in the posts “Missing the knockout punch” and “Step beyond the dogma”, so I’ll comment the first game from the last one. I played White with the guy rated 250 higher, Sicilian defense, Moscow variation. 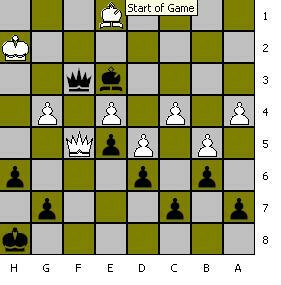 The following Black moves are actually the same as Crafty recommends, but I kind of started to like my position more, considering it more active. 17. … Bf8 18. Qe3 Nc6 19. f4 Nxd4 20. 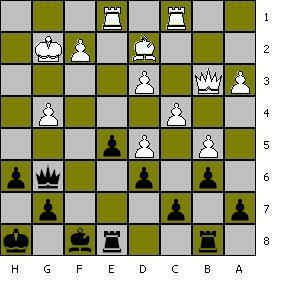 Qxd4 Ne6 Computer wants Black to play f6 on moves 17-19. 21. Qf2 Nxg5 22. fxg5 Rc6 23. Rf1 Qe8. Computer doesn’t like Nxg5 ( me too at the time), estimate goes from 0.8 to 1.5, and 1.8 after Qe8. 24. Rc3 Bg7 25. Rf3 e6. Here is the moment, when my board vision did not work at all. So, I played 26. Nf6+ ( he asked me after the game, why didn’t you play Nb6?). Of course 26. Nb6 Rb8 27. Rxf7, with computer evaluation 1.9. I think, I was too much concentrated on king-side, otherwise I can’t explain it. This is exactly what Dan Heisman meant, seeing that queen on one end of the board defends the square on another end. On moves 29 and 30 I miss Rxf7. Not that I didn’t see it, I didn’t want to give up my 2 rooks for queen and pawn. What I didn’t see is that I get d6 pawn too – bad dynamic evaluation. Also I was obsessed with threat on a1-h8 diagonal. 31. h6 e5 32. Qxd6 Qxd6 33. Rxd6. Giving up the pawn after 31. …e5 wasn’t necessary, Rf8 keeps it safe. It was my first win against “A” class player, the game that I think I played well strategically, but the stuff in the title of the post could leave me with worse than I got result. This Sunday I realized that my time management needs improvement. I played my regular G/90 game. I equalized with Black in declined Blackmar-Diemer Gambit and we went into middlegame, where I managed to counter-attack and after queens exchange won a pawn, then another one. Also my opponent had at least 10 minutes less. Everything looked good, then strange things started to happen. We had R+B+N vs.R+B+N (plus pawns) when he tried to complicate things. I had about 15 minutes left at that time. After miscalculating, I lost an exchange and 5 minutes were remaining on my clock. Still computer evaluated my position ( N+ 3P vs. R+P) as a better one, but after another wrong move I eventually lost a pawn, got worse and had to accept the draw offer with both flags hanging (his a bit more). So, what happened ? 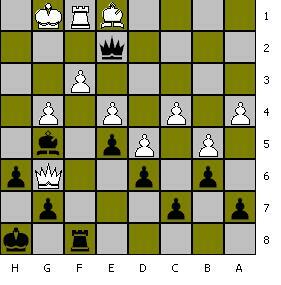 I followed pretty well the Botvinnik rule – spend 20% of your time on the first 15 moves. I really like that rule, but looks it’s not enough when you play 50+ moves game. 1. “In a sudden death time control, speed up a little if the game is very even and it looks like it is going to be a long game. You may need that time later if things get complicated or it does become an exceptionally long game”. 2. In a sudden death time control, start speeding up when most of your time is done (but don’t wait until almost all of your time is done). For example, if you are playing G/90 and you are getting down to less than 20 minutes and the game looks like it is far from over, start speeding up then, and not when you have 3 minutes left. 3. Practice at a mixture of time controls. Play slow games to pace yourself and to learn good analysis techniques. Play fast games to practice your openings and get time pressure experience. Even more important is thinking on your opponent’s time. Dan Heisman says, that of course you use opponent’s time to “to drink, eat, go to the bathroom, and stretch your legs” and you need all of it. But, “you should keep these extraneous activities down to a moderate amount”. Let’s say you get up and walk after every move, looking how other people are doing, etc. Even if you catch the exact moment your opponent punches the clock (virtually impossible), it still will take about 10 seconds to get back and see what move was played. In 40 move game it will be 400 seconds, or almost 7 minutes. And walking on the half of the moves still will take 3 minutes. So what you should be doing while waiting for opponent’s move? “The classic suggestion is to think specifics and tactics during your move and generalities and strategy during your opponent’s move”. 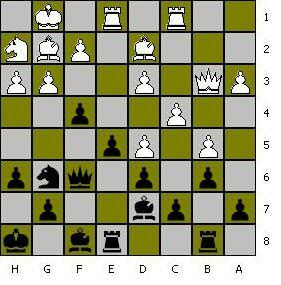 You can think about the pawn structure or what would be the ideal square for the knight, etc. This is a most common practice, but not the only one. I know that some bloggers criticized in the past overusing Dan Heisman, but I can’t help it. His guidelines/advices are really useful for me, so I hope sharing it can help other people too. I played my regular OTB game this Sunday. I played with a boy rated 30 less than me and drew. Since I had a good attack in the middlegame, it left me kind of scratching my head. Of course, as I came home, the computer was merciless. OK, so how it went? I was Black and he played (as I learned later) Konstantinopolsky Opening. 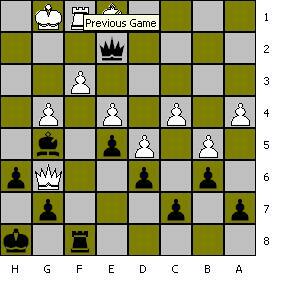 It is a rarely played opening that begins with the moves 1. e4 e5 2. Nf3 Nc6 3. g3. It was introduced in the game Konstantinopolsky–Ragozin, Moscow 1956. Anyway, even more rare than the opening was the speed with which he played (90/SD). It was lightning first 12 moves, then blitz another 8-10 moves, then active the rest of the game. I simply couldn’t get out of the table. After some not very good opening-middlegame phase (mostly half a pawn down according to computer) I was able to intercept the initiative with the move 19. ..f4. 24. f3 Be7 25. Re4 Rf8 26. Qd1 Rf7 27. Qh1 Rbf8 28. Rf1 Bg5 29. 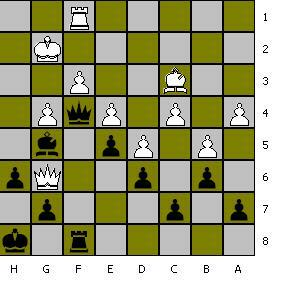 Here I was glad that I can execute my long planned penetration of my Queen into the enemy’s territory – Qe3 and didn’t notice the winning move – Bh4. 37. … Rxf3 Another miss. Of course I saw Be3+, but I thought that White covers with the bishop not seeing that then Rxf3 wins. 38. Rxf3 Qxf3 39. Qf5 Be3+ 40. Kh2 Bf4+ 41. Kg1 Be3+ 42. Kh2 I saw that he has a perpetual check and didn’t see the win (there wasn’t already), so I traded queens. 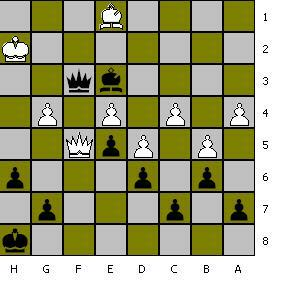 Allowing king there was a final mistake , though I don’t think there is a win here after 43… g5 44. hg Kg6. The bishop is bad, that’s it. OK, I’ll just follow Dan Heisman’s rule: “Losing can be a great motivator if it helps you identify and correct things you are doing that cause the loss”. Yeah, if the position tells you there is a win, you should believe it and just find it. 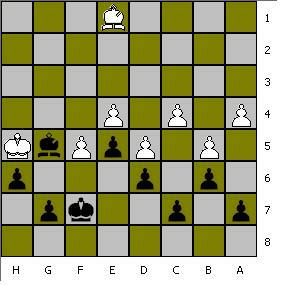 Another Dan’s rule, that I didn’t fully followed: “When looking for tactics – for either player – look for Checks, Captures, and Threats …”. The good thing I managed my time pretty well, spending on the first 15 moves in the unknown opening 24 minutes. OK, it’s 26.7% of all the time, not 20%, still good result for me. I have a correspondence game now where I am pawn down, my only hope is a pair of bishops. I’ll see how it will develop. I switched from online blitz to online correspondence chess, will see the effect. 4. “*Don’t be afraid of losing. Be afraid of playing a game and not learning something. Losing can be a great motivator if it helps you identify and correct things you are doing that cause the loss”. The opposite (5/15) happened to me twice lately and the result was disastrous. 6. “A bishop is good behind its own pawns if they are mobile. If those pawns are fixed, then it may be a bad bishop.” (but remember Suba’s ‘Bad Bishops guard good pawns!”). I am playing 4 bishops correspondence endgame right now, will use it. I love Ruy Lopez exactly for that. I will try to make it a golden rule for me. I miss threats when they come not on the current move, but on the next one. 10. *”Never push a passed pawn passed its zone of protection (unless it promotes by force!). I was punished twice for that in the last dozen OTB games. Interesting how many out of this ten somebody else reading this post will select as helping him/her.